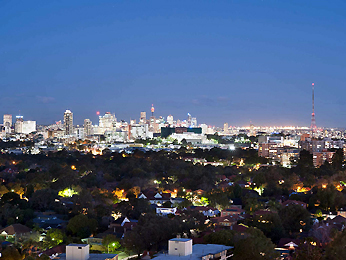 Located just north of Sydney CBD, North Sydney is best known for being the city’s second largest commercial district. While its main focus is commercial, there are many sights to see and things to do in North Sydney, including a range of parks, galleries and museums, and some great restaurants, bars and shops. Local attractions include the Don Bank Museum, Sexton’s Cottage Museum, Lavender Bay Gallery, Boomerang Aboriginal Art Gallery, Mary MacKillop Place Museum, and May Gibbs’ Nutcote – the former house and garden of author, illustrator and creator of Snugglepot and Cuddlepie, May Gibbs. North Sydney’s cafés, eateries and shops are busy during weekday lunchtimes, with bars and restaurants quickly filling up on Friday evenings. The Sydney CBD and its attractions are just ten minutes away by train or bus, there is always something to keep visitors entertained. There are plenty of attractions in the area surrounding North Sydney as well. Luna Park is a family favourite, offering retro rides and an abundance of fairy floss. Balls Head Reserve is an excellent spot for a picnic, a walk, a run or a bike ride, with superb views over Sydney. North Sydney Oval hosts a wide range of sporting events, including League, Union, cricket, soccer and AFL. 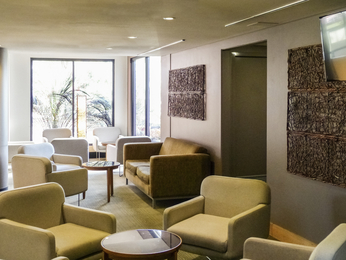 Staying in North Sydney is ideal for both business and leisure travellers, providing easy access to the Northern Suburbs, the Northern Beaches, as well as Sydney city and its surrounds.